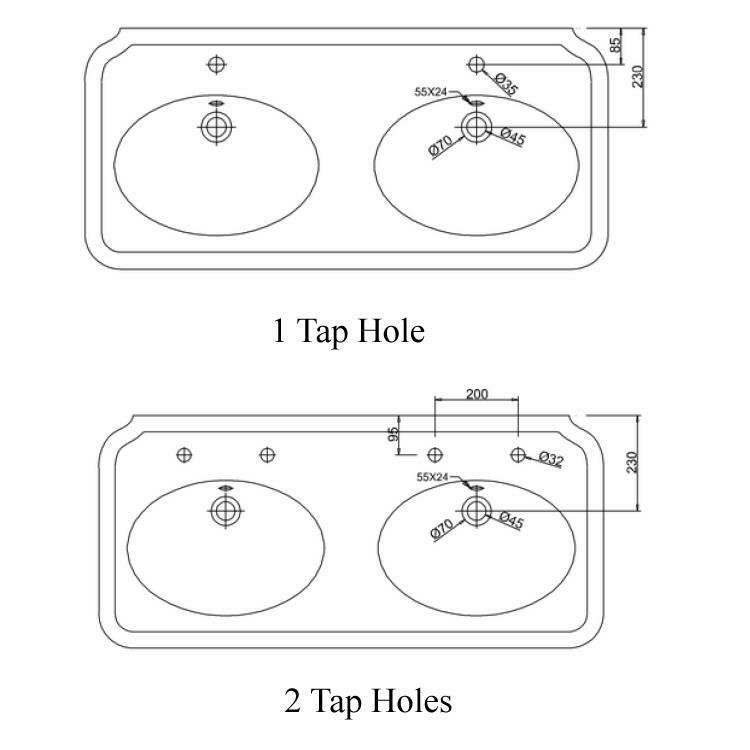 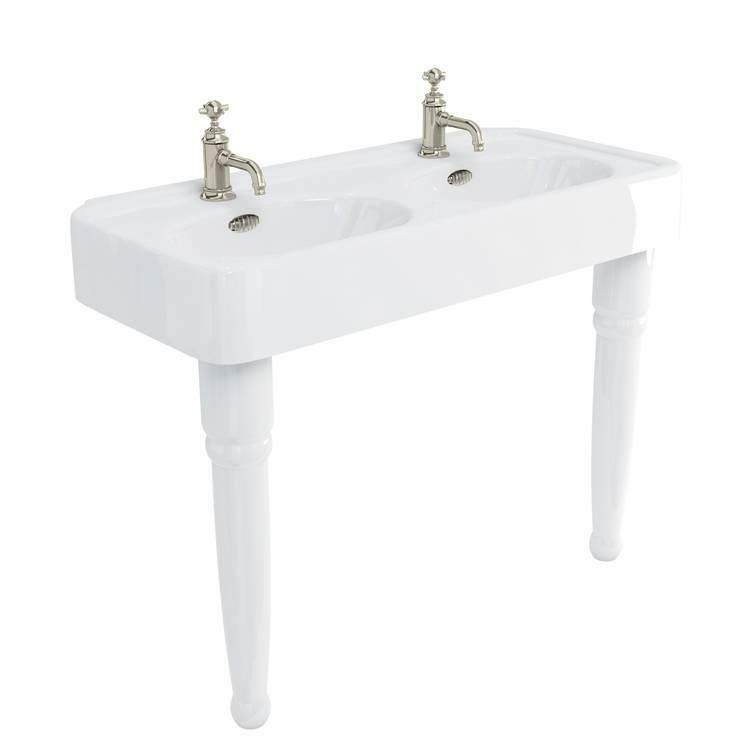 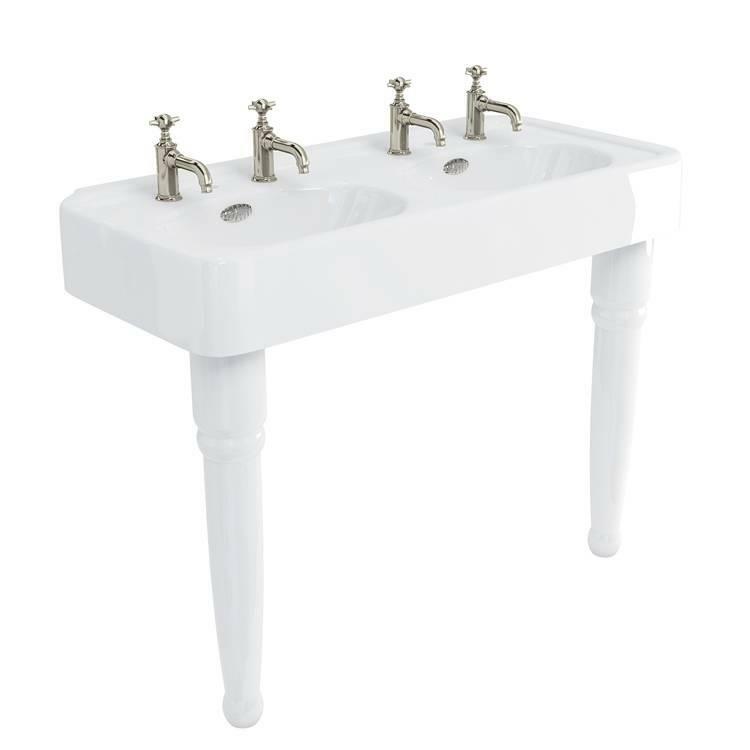 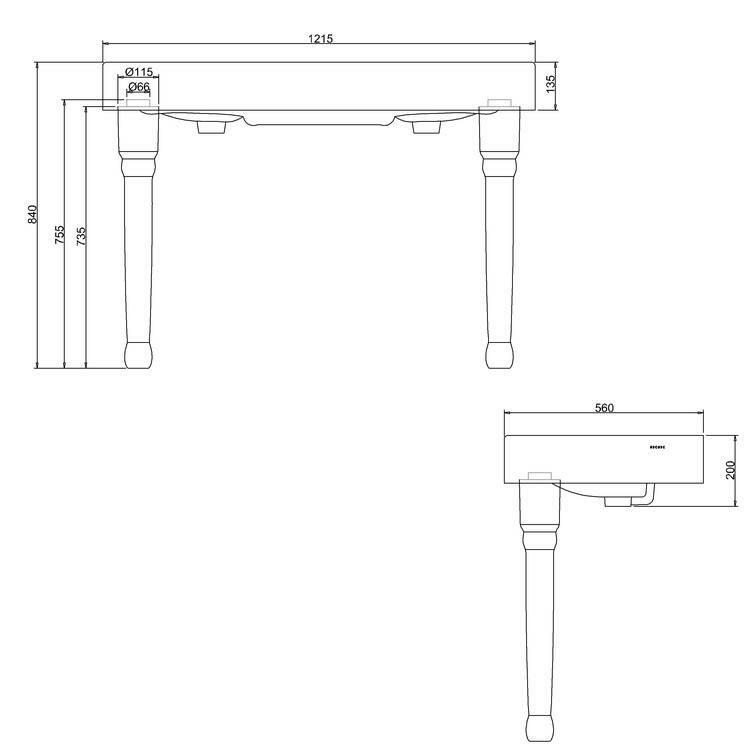 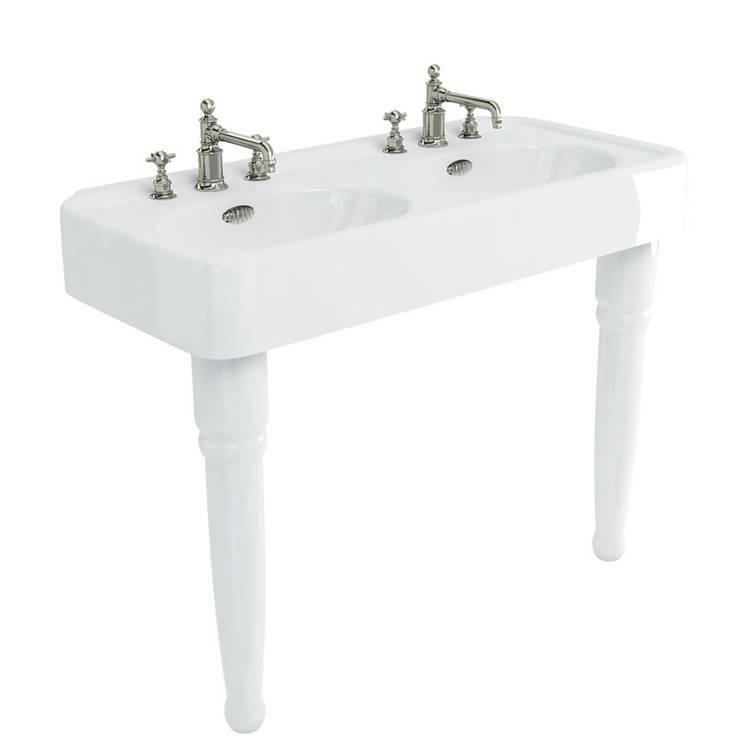 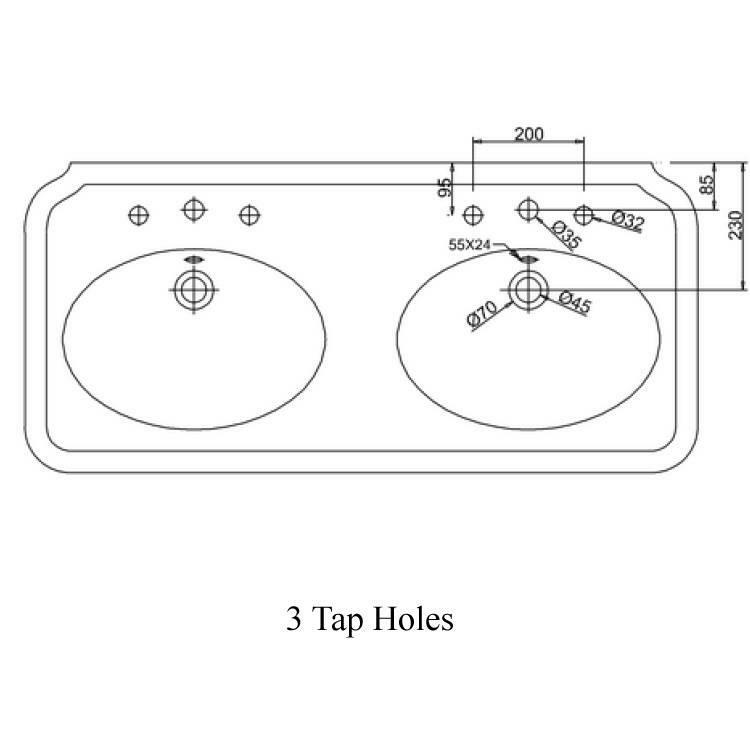 Arcade 1200mm Double Console Basin With Ceramic Legs. 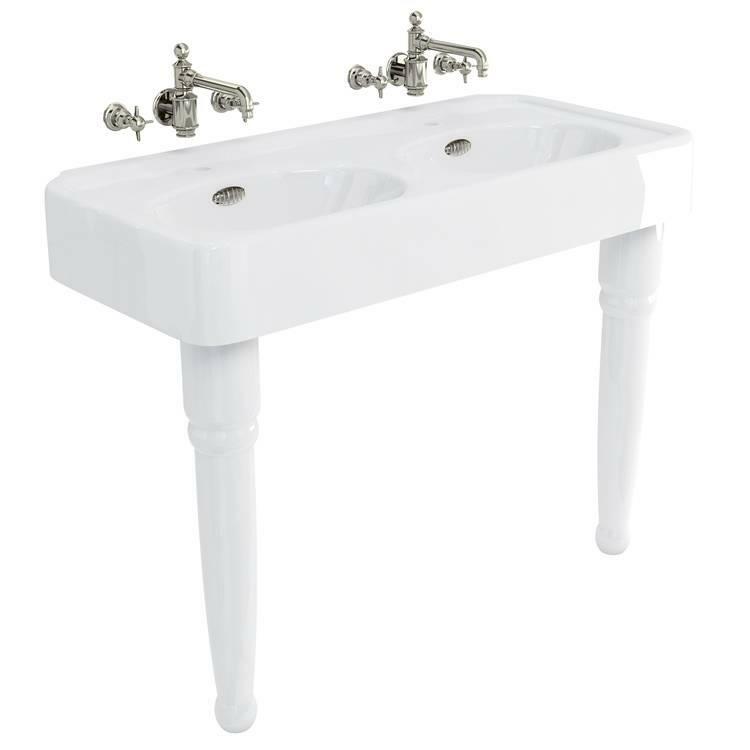 The Arcade 1200mm Double Console Basin With Ceramic Legs features a beautiful decadent design which will be at home in any period styled bathroom. 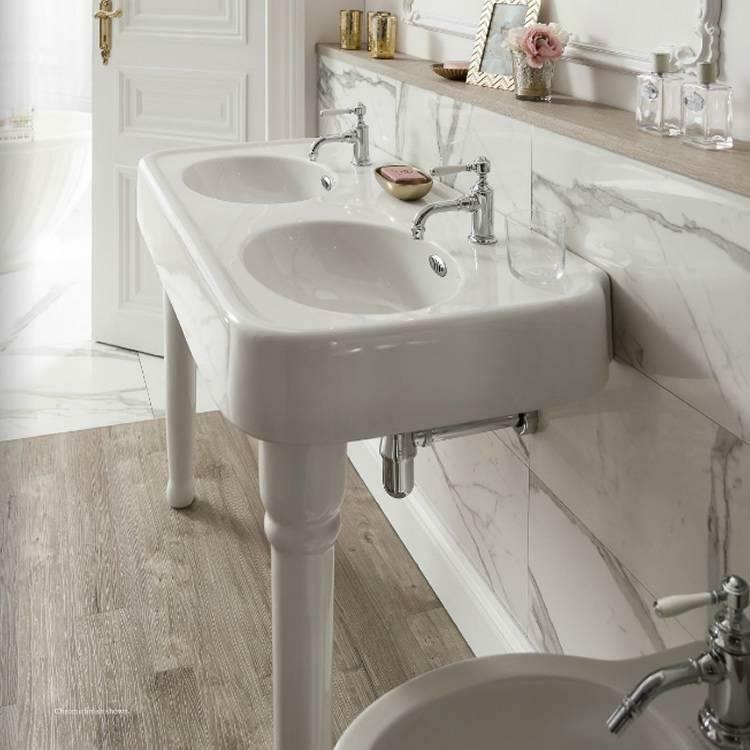 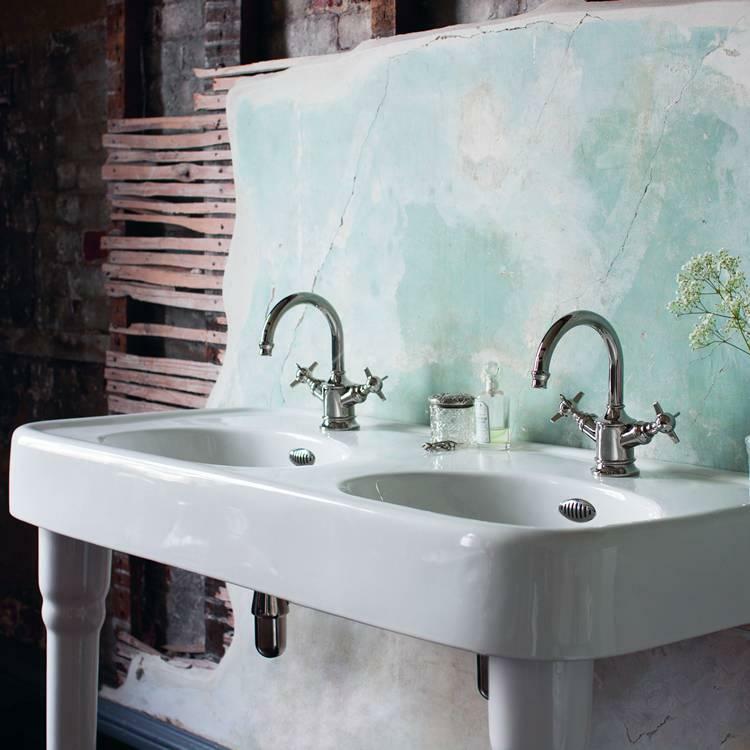 The double basin design adds a luxurious touch.